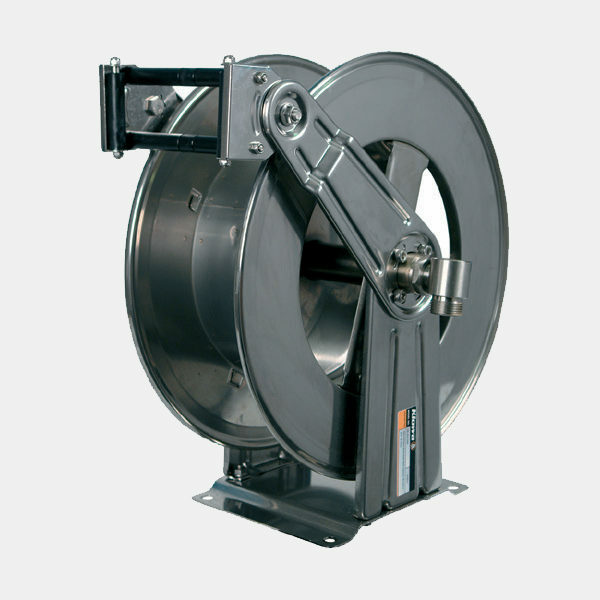 Spring rewind hose reels from Flextech are constructed in 304-grade stainless steel, as standard and other non-corroding materials. The superior twin pedestal design & quality component parts will give long term, trouble free service for all industry standards. Adjustable full width roller guides, will prolong the hose assemblies working life. Ribbed side arms give ultimate rigidity, during pull out and hose retrieval. 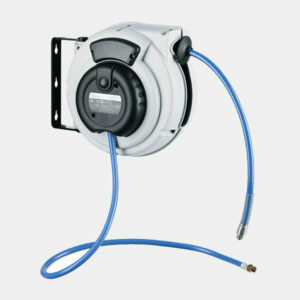 Durable nylon hub assemblies allow the main drum assembly to rotate straight and true. Adjustable guide arms give various mounting positions covering floor, wall, ceiling & vehicle mount applications. Pressures are standard up to 3,000psi / 200 bar, with 5,800psi / 400 bar as an optional upgrade. 316 Grade stainless steel units are also available on request. 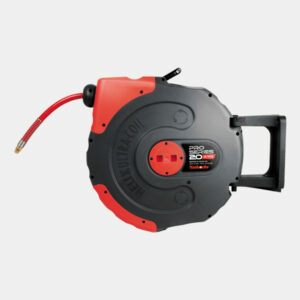 All units are supplied as bare reel, please consult our sales team for various additional hose combinations. These reels are designed for long term service in harsh, corrosive environments or where hygiene is of primary importance. Ideally suited for wash down & pre-rinse, applications in food processing areas. 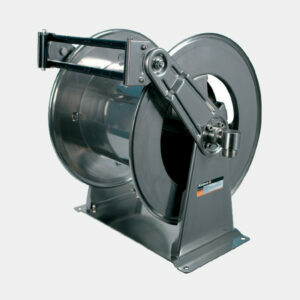 Coastal, Marine and offshore applications are ideal areas for this range of reel (316ss options). Applications Covered: Compressed Air, High Pressure Water, Wash Down, Oil Delivery & Fuel Transfer amongst many others.